Elmac Services provides consultancy and training on all aspects of EMC, including design, testing and the application of standards, to companies manufacturing electronic products and concerned about the implications of the EMC Directive. 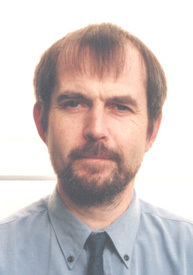 Tim Williams gained a BSc in Electronic Engineering from Southampton University in 1976. He has worked in electronic product design in various industry sectors including process instrumentation and audio visual control. He was design group leader at Rosemount Ltd before leaving in 1990 to start Elmac Services. He is the author of “The Circuit Designer’s Companion” (2nd edition, Elsevier 2004) and “EMC for Product Designers” (now in its fourth edition, Elsevier 2006), and has presented numerous conference papers and seminars. He is also author of “EMC for Systems & Installations” with Keith Armstrong. He is an EMC technical assessor for UKAS and SWEDAC.